Getting to the bottom of Post Traumatic Stress Disorder statistics is a bit like asking ‘how long is a piece of string?’. It all depends on how far apart you hold your hands. Studies around the world variously rate the incidence of PTSD as lying in the range of 1-100%. A 1995 study in the US found that one percent to three percent of the general population had ‘diagnosable PTSD’. A slightly later study showed that as many as 100 percent of children who witness a parental homicide or sexual assault develop PTSD. A widely accepted rate of post traumatic stress among military personnel of around 30% is interesting when you consider that only one third of any armed force usually experiences combat (two-thirds are in support roles). What does the ‘average’ figure conceal? Other findings note a consistent increase in the incidence of PTSD with the number of life-threatening incidents a person goes through. A study Picking Up The Peaces conducted during the 2009 National PTSD Awareness Day indicated remarkable differences between genders. Most respondent females with PTSD were in their 20s, while most respondent males with PTSD were in their 50s. Likewise, US studies of PTSD statistics revealed that up to 40% of children and teens who have endured at least one traumatic event, resulted in the development of PTSD in up to 15% of girls and 6% of boys. They also say that about 10% of women develop PTSD compared with 5% of men. And how long after ‘the incident’, or the most recent incident, were the studies conducted? Some dangerous research on Gulf War veterans says that if PTSD is not diagnosed within 4 years it does not exist. 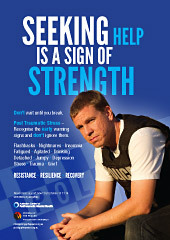 Yet the Australian Centre for Post-traumatic Mental Health says 40% of post traumatic stress disorder is delayed onset. And diagnoses of Vietnam veterans has mushroomed since 2000 – 30 years after the war – largely because of professional and personal ignorance. Veterans finally give up and admit they need help. That highlights one of the other problems with post traumatic stress statistics. Very few people, even those consistently involved in high risk tasks, have more than a passing knowledge of the term, let alone the symptoms. Unfortunately, the same can be said for a surprisingly large percentage of medical professionals. Diagnosis of PTSD in that study ranged from immediate to 36 years later. Even diagnosis can be vague. Some professionals note a difference between post traumatic stress disorder and acute stress disorder (an emphasis on disassociation in ASD versus avoidance in PTSD), but with similar treatments required, many do not differentiate. Zimmerman and Mattia found that traumatic stress conditions are ‘often underdiagnosed’ in routine clinical settings. Likewise, the 2007 National Survey of Mental Health and Wellbeing (SMHWB) found that 14.4% (2.3 million) of Australians aged 16-85 years had a 12-month Anxiety disorder, 6.2% (995,900) had a 12-month Affective disorder and 5.1% (819,800) had a 12-month Substance Use disorder. 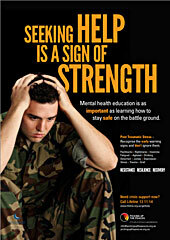 Post-traumatic stress disorder had the highest individual statistic of any of the 12 mental illnesses specified – 6.4%. In addition, 10 of the remaining 11 disorders are documented in DSM-IV as symptoms of PTSD. Does that suggest that the figure for PTSD may actually be as high as 18.2% of the target population in any given year? The Medical Journal of Australia says that in most patients, PTSD is unlikely to present as a stand-alone problem. 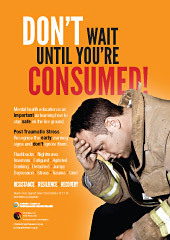 Comorbid conditions, including depression, other anxiety disorders, and substance misuse, are common. The World Health Organisation says PTSD is only one of a range of (frequently co-morbid) common mental disorders (mood and anxiety disorders), which become more prevalent after disaster. The takeaway for Post Traumatic Stress Disorder statistics is that they are not clearcut, and they seem to be population-specific. Although why that should be has not been explained – does a firefighter fear for his life more or less than a police officer? The only apparent correlation is between the number of trauma incidents an individual experiences and the likelihood of that person developing PTSD. Stigma also distorts PTSD statistics, either because sufferers don’t seek diagnosis, or because of researcher bias. The low-level of help-seeking behaviour for PTSD symptoms in many non-western cultures concerns the World Health Organisation, which is concurrently concerned that agencies are over-emphasizing PTSD. At best, the figures are rubbery, but they serve as an indicator that post traumatic stress disorder is a significant problem. The medical profession works on a figure of about 25% of people developing PTSD after exposure to traumas such as a serious accident, physical or sexual assault, war or torture, or a natural disaster such as a bushfire or a flood,. 44% of Americans reported at least one symptom of PTSD after 9/11. 30% of those actually in the building or injured during the 9/11 New York City attacks.